Very bad pressing actually : a very strong surface noise on both sides (stronger at the beginning of each side). Such artist as Nina Simone deserves better. I have this signed by Nina. My dad had her sign it for him backstage at Ronnie Scott’s in the 60’s. 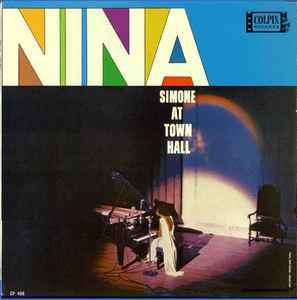 The music is superb, even at the beginning of her career Nina Simone had all the talent and charisma she would be known for later. This release by Waxtime however is just decent. Not as bad as some of the other public domain law loophole exploiting reissue labels (looking at you, DOL), but still not worth getting your hopes too high. I bought the reissue (4 Men With Beard) because my Colpix version is so worn out it no longer sounds good. Unfortunately, the reissue does not preserve the original's seemless transitions between the tracks and the breaks (especially between the 2 parts of Summertime) are really annoying. Shame!